So, I love my Swedish heart cookie cutter. It's roughly the size of my palm and is perfectly symmetric. Here's the thing. 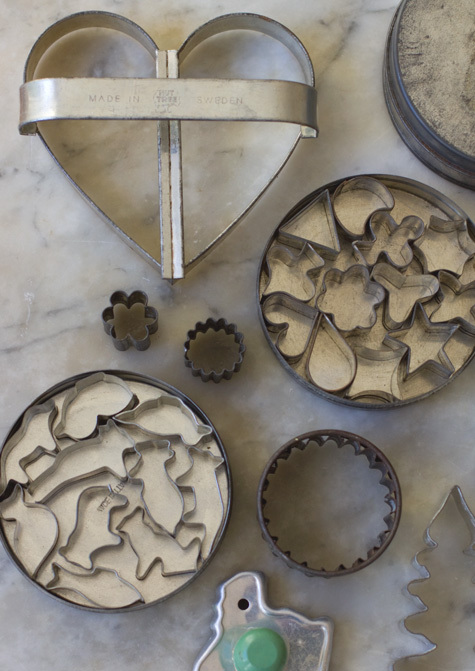 Hearts are a popular shape for cookie cutters, yet each heart is an individual. Some plunge deep, some curve shallow and soft, some are wide and squat, some are tall and elongated...each one says something different with its shape. There are friendly hearts, serious hearts, sophisticated hearts. It's a personal preference, but I tend to like the hearts that are just about as wide as they are tall. Symmetrical, direct, with clean lines. Then there are the wild card cookie cutters that I can't pass up. Like this farmhouse collection. 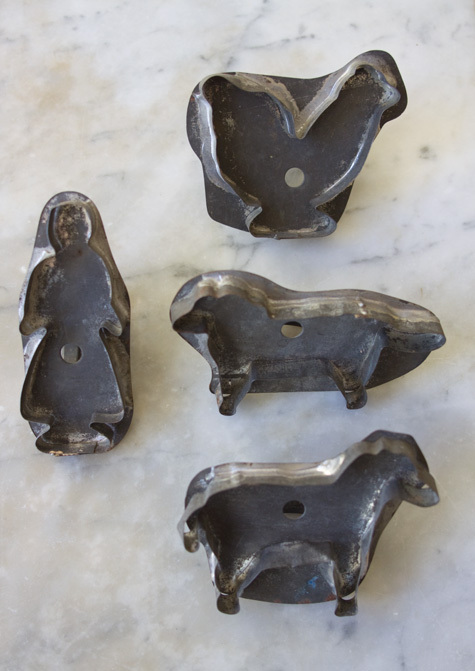 The shapes get a bit mushy over the years, but the primitive lines are charming and the patina on the cutters beautiful. The pig has apparently escaped - note to self to find him. 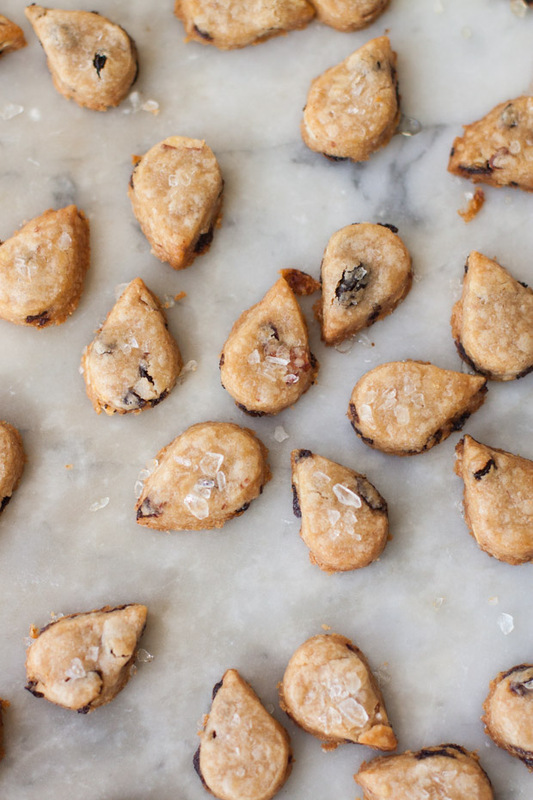 These toasted almond sable cookies are a take-off on Alice Medrich's charming Whole Wheat Sables, published in her book Pure Dessert a few years back. I love them, and make them a number of different ways depending on what I have on hand. This variation is hard to beat - toasty, nutty, peppered with dried currants. 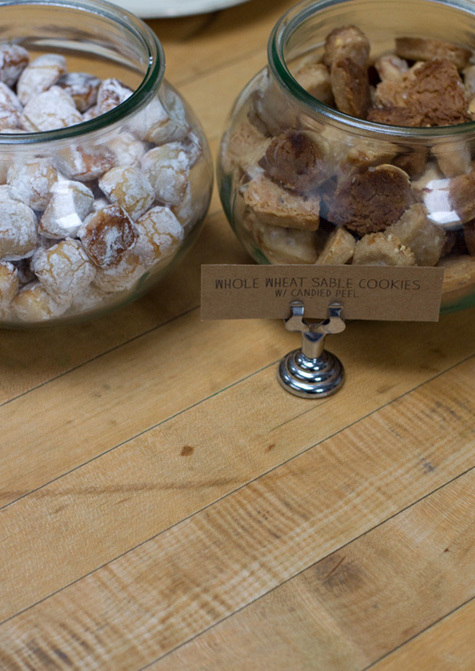 They're made with whole wheat and all-purpose flours, sliced almonds, and the best butter you can come by. That said, I made another variation with June Taylor's candied citrus peels for the Little Flower School class a couple weeks back - swapping finely chopped peel for the currants you'll see in the recipe below. The peel left lovely little slashes of color throughout the cookies, and bursts of citrus flavor. I really loved those too. For those of you who've made it this far. I made a note to myself for next time. I'm excited to try this recipe using Dorie's trick of using cultured butter - for a hint of tang. It might be the thing to put these right over the top. A couple notes. I used Straus Creamery lightly salted butter here. I like a good amount of salty to counter sweet in cookies like these. And basically, butter cookies like these are all about good butter. That said, you can use good unsalted butter and, in a sense, season the dough to your tastes before baking. If I were using unsalted butter, I might start with 1/2 teaspoon of salt, and adjust from there. I also tend to bake these a bit longer than typical. I like the bottoms solidly golden, and tops lightly/mid golden. 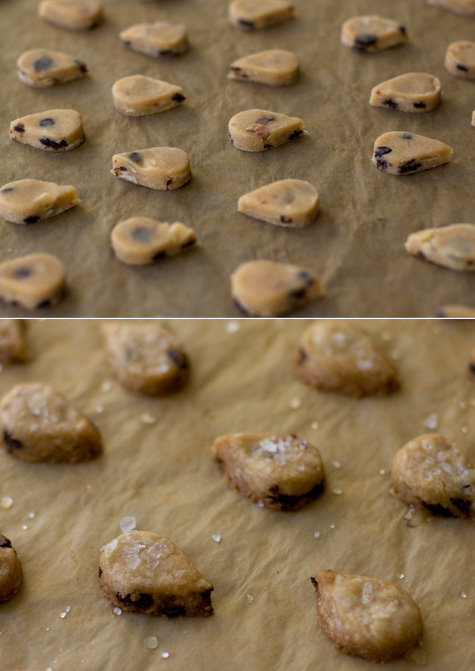 About fifteen minutes before you're ready to stamp out your cookie shapes, remove the dough from the refrigerator. Position racks in the top and bottom thirds of the oven and preheat to 350F / 180C. And line baking sheets with parchment paper. Inspired and adapted from Alice Medrich's Whole Wheat Sables recipe in Pure Dessert. Love this book.